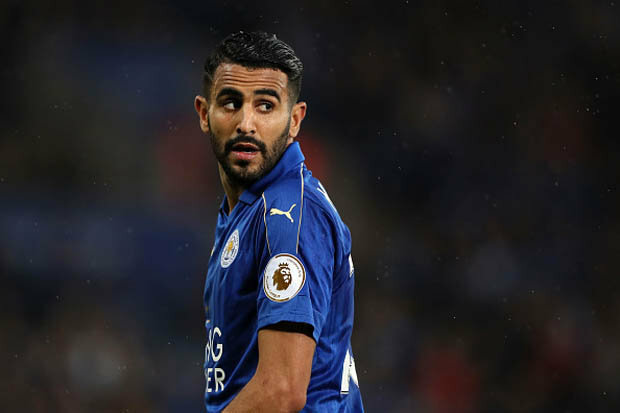 Premier League side Arsenal received a major boost in the chances of signing Leicester City attacker Riyadh Mahrez as Roma pulls out of the race to sign the Algerian. With Theo Walcott seemingly sealing his fate as a till-thy-kingdom-come prodigy and Oxlade Chamberlain unable to make the leap to the heights many believe his talent deserves, few would blame the Gunners for turning a blind eye to the children they brought through their ranks and turned into men. The kids glaringly didn’t make it to the “men” the investors and holders expected. With Leicester holding out for a €55 million before allowing lanky winger to leave King Power Stadium, the Serie A side deemed it unnecessary to continue the pursuit of a player they believe was overvalued. French midfielder Tiemoue Bakayoko gave a special mention to striker Michy Batshuayi after he sealed his transfer to Stamford Bridge last week. The 22-year-old becomes the Blues’ second-most expensive signing of all-time after he arrived for £40m from Ligue 1 champions AS Monaco. In his first interview, Bakayoko admitted that he had followed Chelsea keenly in the Premier League, and Antonio Conte played a part in luring him to Stamford Bridge. The midfielder, later on, watched his teammates earn a comfortable 8-2 win over Fulham in a pre-season friendly behind closed doors, and shortly after he posted a cheeky tweet thanking ‘agent Batshuayi’.